Some of the best beaches in Thailand are close to Bangkok. Some are easily enjoyed within one day while others may require a weekend stay. One thing for sure is that there is one for every type of person here. They range from laid back resting spots to nightlife destinations that never sleep. This one is quite doable in one day. Located 102 kilometers from Bangkok, it can be reached with a one hour and 15 minute drive. . It is the most popular, especially as a summer get away for those who live in the city. Amman hosting information . Peaceful and serene, there are many cheaper accommodations found along the shore. You’ll find mostly locals with few foreigners at this seaside resort. There are many lounge chairs, complete with umbrellas, ready and waiting for you. Have a seat, order something to eat, and take in the view. The water isn’t crystal clear and the sand is course, but it is still fun and relaxing while being closer to Bangkok than others. Mid-week visits can be quiet as most people come for the weekends. This seaside town is located 200 kilometers south of the city. Three and a half hour bus trips are available from Sai Tai Mai’s terminal. This area has been a popular resort since the 1920’s so it is more commercial than the other shore side destinations near Bangkok. Popular activities include horseback riding and kite boarding. Schools and trainers are readily available. Large crowds flood the shores during the annual International Kite Festival. Guest will find long stretches of white sand and large rocks at the water’s edge. A benefit of the rocks is that the beaches remain quieter. Jet skis and other loud crafts can’t come close to shore. There are numerous hotels right on the water’s edge so that you can reach the sea just steps from your door. One of the best beaches and most beautiful near Bangkok, it has picture perfect clear water and squeaky sand. The islet is a serene escape from the city after a two to three hour bus ride followed by a 20 minute boat ride from Rayong Province. You’ll find many affordable accommodations here. Activities found along the shore include snorkeling, windsurfing, and diving. The name is from the Cajeput Trees that are called Samet in the Thai language. They are found growing all across Koh Samet. As part of the melaleura family, they produce oil that is commonly used for aromatherapy. This is Phuket’s best beach. The numerous daytime activities, combined with a thriving night life, make this the ideal water destination for many who travel. The nightlife is found along Soi Bangla where there are beer and Go Go bars, restaurants, and discos. Those who want to unwind away from Bangkok will love it here. The neon lights will draw you in, but it is the no worry attitude that keeps you coming back. Of all the coastal towns, this one draws in a rowdier crowd then the others do. Go Go Bars are plentiful, but despite its reputation, you can find several high end resorts along the water’s edge. 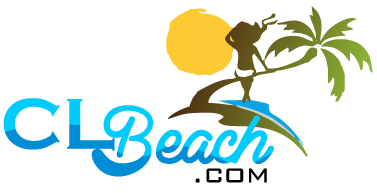 The beach stretches across three kilometers and is lined with businesses such as motels, bars, restaurants, shops, and massage parlors. In addition, the area is home to zoos, amusement parks, and malls that also draw in tourists. If you like a shore with nonstop 24 hour excitement, this is the one for you. Choose one of the others if you want to relax in the sun. This area has been featured in movies and is a hot topic of conversation among travelers in Thailand. Its beauty includes high cliffs set among coast front jungles. Sri Lanka Laid back is the way to experience phi phi. One of the islets has no human inhabitants, while the other has no roads. Ko is the largest and the most populated. This destination can be reached by ferry or speed boat. Taking an island-hopping cruise is a great way to explore all the variety found here. Some of the best beaches in Thailand are close to Bangkok. This entry was posted in Travel and tagged Bang Saem, bangkok, beaches, clear water, Hua HIn, Koh Samet, night life, Patong, thailand, white sand. Bookmark the permalink.